The Bahujan Samaj Party chief Mayawati took several severe and pointed organisational measures in July to tighten discipline within the party. This comes as excitement mounts among her flock on the growing political prospects of the Dalit leader in the 2019 parliamentary polls. Engaged in simultaneous talks with various Opposition parties to tie up suitable electoral alliances in different states, Behenji is aware that these complex and delicate backroom negotiations could be jeopardised by the zeal shown by her party leaders and workers. She therefore made a few swift corrective as well preemptive moves to ensure that no wrong signals go out from her party at perhaps the most crucial stage of her political career. The organisational shake up appears to have been triggered by a snide and somewhat bizarre remark that a top BSP leader made against Congress president Rahul Gandhi on July 16. The leader, Jai Prakash Singh, had been elevated by Mayawati to the post of party national coordinator just two months ago. Addressing party leaders and activists at a meeting in Lucknow, where the other BSP national coordinator Veer Singh was also present, Jai Prakash Singh drew attention to the Gandhi scion’s visage, claiming that he looked like his Italian-born mother Sonia rather than his late father Rajiv, a son of the soil. He went on to assert that this would be a major drawback to Rahul Gandhi’s credentials as a future Prime Minister of India, in a thinly veiled attempt to project his own leader Mayawati as a far better candidate for the top job. Unfortunately for the national coordinator, his comments did not please Mayawati. The BSP chief peremptorily sacked Jai Prakash Singh from his post within 24 hours, and in what is seen as drastic disciplinary action, also expelled him from the party. She also chastised his fellow national coordinator Veer Singh – removing him from his post – for not stopping his colleague from making his controversial remarks. Clearly the mockery of Rahul Gandhi by a senior BSP leader at a party function had rung the alarm bells for Mayawati who is in the middle of negotiating a deal with him with the blessings of Congress matriarch Sonia Gandhi. 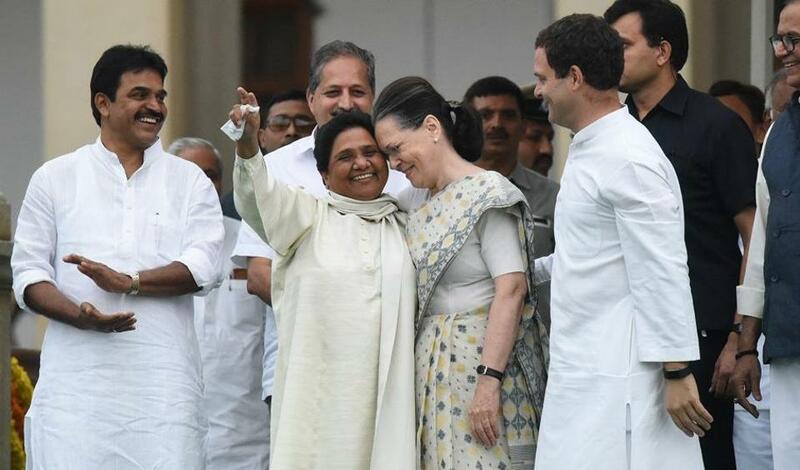 Although the two ladies have always been close, relations have been frosty between Mayawati and Rahul Gandhi, who had made uncharitable remarks about her while campaigning to unseat her from the Uttar Pradesh chief minister’s post in the 2012 Assembly polls. Indeed scenes of bonhomie between the Dalit leader and the Gandhis before the swearing-in ceremony of Karnataka Chief Minister HD Kumaraswamy in Bengaluru in May, indicated that the past bitterness had been defused for mutual political benefits in the future. This perhaps explains the harsh action unleashed by Mayawati against her party leaders for the affront to the Congress president. Interestingly, in her statement announcing the disciplinary measures, Mayawati sought to downplay the perception that the shakeup in her organisation was to mollify the Congress. Instead, she emphasised that a personal attack against leaders of any party, friendly or otherwise, was against BSP culture. This appears to be a reference to attacks made by Jai Prakash Singh against Prime Minister Narendra Modi in the same speech. He had described Modi as “Gabbar Singh” – the villainous dacoit in the Bollywood film Sholay – amidst loud applause from his colleagues. It is also significant that Mayawati used the occasion to warn all party leaders and workers to desist from making any statement about alliances being negotiated with other parties for the coming state Assembly elections and the parliamentary polls later. 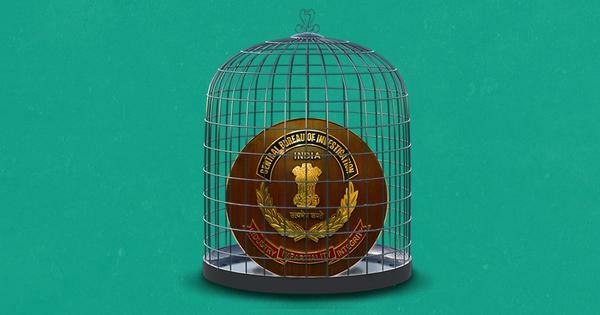 The gag order underlines the tense and fragile nature of the negotiations underway between Mayawati and the leadership of other parties as the crucial election season moves closer. 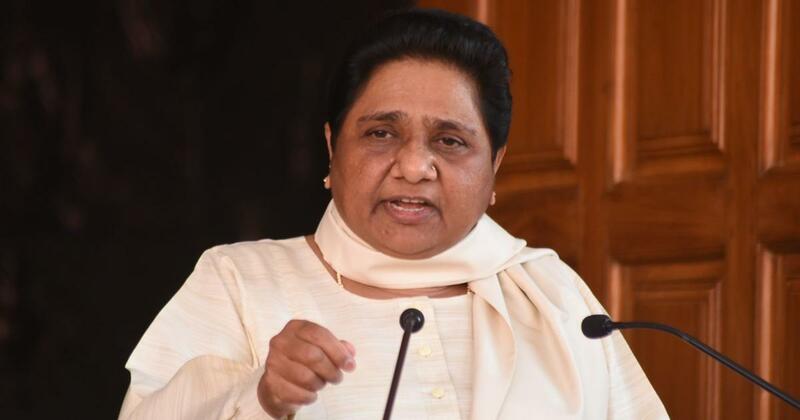 In another important announcement this week, Mayawati, through an official press release, publicly disassociated the BSP from any social media platform that claimed to speak on behalf of the party. The release referred to Dalit youth leader Devashish Jarariya, who runs a website called BSP Youth that seeks to mobilise support among the young for the BSP. Jarariya, who is otherwise a highly articulate cheerleader for the BSP and also appears on television news channels speaking in support of the party, apparently made the mistake of claiming to speak on its behalf without authorisation. In her statement, Mayawati clarified that the only recognised spokesperson for the BSP is the veteran socialist leader Sudhindra Bhadoria, who has been speaking to the media as its official representative for several years and is known for his sober and cautious approach. The BSP is gearing up for the forthcoming Assembly and general elections after reaching a new low in its electoral performance in the Lok Sabha elections in 2014 in which the party did not score a single seat, and in the Uttar Pradesh Assembly elections in 2017, where her party won only 19 of the state’s 403 seats. Mayawati is therefore acutely aware of the enormous challenge she has before her, of resurrecting her political fortunes. In May, in a move to stop criticism that she was for the first time leaning towards dynastic politics by projecting her favourite younger brother Anand Kumar as a top party leader, she removed him from the post of party vice-president and appointed instead two national coordinators Jai Prakash Singh and Veer Singh. Within two months, she has had to remove them both under controversial circumstances. She is now in the process of reshaping the organisational structure once again, but it is clear that the road ahead to the 2019 polls although promising will be arduous as well.